3-time Olympian Glenn Snyders of New Zealand has officially announced his retirement from the sport of competitive swimming. The 29-year-old is one of his nation’s most successful swimmers, owning New Zealand records in the 50m, 100m and 200m breaststroke events across both short course and long course. The North Shore Club swimmer scored a bronze medal in the 100m breast at the 2014 Pan Pacific Championships after having become the first and only Kiwi to ever have dipped beneath the minute mark in the event back in 2011. 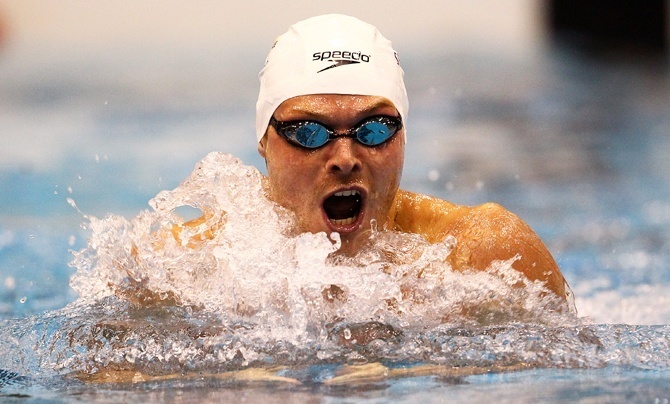 After his appearance at the London 2012 Games, Snyders moved overseas to become a part of the Trojan Swim Club coached by Dave Salo in Los Angeles, California. At the 2015 World Championships held in Kazan, Snyders had his most dominant race in the 50-meter breast. In the final Snyders went 27.37 and picked up a 7th place finish. He barely missed the semi-finals of the 100-meter breast, but also finished 23rd in the 200-meter breast. At his 3rd Olympic appearance in Rio this past summer, Snyders snatched a spot in the 100m breaststroke semi-final after tying Hungarian Daniel Gyurta for 16th place after prelims. Gyurta wound up scratching a swim-off, which granted Snyders a semi-final lane. He would ultimately finish 15th. Reflecting on the dominant Kiwi’s career, Swimming New Zealand Chairman Bruce Cotterill says, “Glenn has clearly been an outstanding, world-class swimmer for more than a decade. During that time he has not only acted in a thoroughly professional and dedicated manner in the pool, but he has been a leader out of the pool. “After London he could have left the sport but instead re-dedicated himself, made the bold step to move to the USA to receive expert coaching in breaststroke, and ultimately return for a third straight Olympics. Snyders says that, “Representing New Zealand in swimming has been an honour and a privilege. To have been able to compete at the highest level in my sport for 12 consecutive years has been nothing but an adventure and life-learning experience, one that I will take with me on my new journey leading forward. “Retiring from swimming is just a step forward in my life. It wasn’t the easiest of decisions to walk away from the sport I love but I knew it is the right time and decision, one that I am content with. I look forward to the next chapter in my life, which has already begun by getting married and settling down in Los Angeles with my wife Jenna.